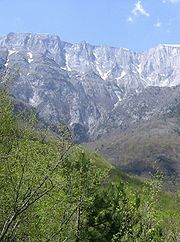 A landlocked country, the Republic of Macedonia is bordered by Serbia and Kosovo to the north, Bulgaria to the east, Greece to the south and Albania to the west. The country's capital is Skopje, with 506,926 inhabitants according to a 2004 census. Other cities include Bitola, Kumanovo, Prilep, Tetovo, Ohrid, Veles, Štip, Gostivar and Strumica. It has more than 50 lakes and sixteen mountains higher than 2,000 m (6,562 ft). Macedonia is a member of the UN and the Council of Europe. Since December 2005 it has also been a candidate for joining the European Union and has applied for NATO membership. Holiday Inn Skopje is situated in the heart of the city, next to the most important Government and administrative offices, shopping centres, theatres, museums and cinemas. The hotel is only 25 km far from the international airport Aleksandar Veliki and is most convenient for business as well as for leisure travellers. Feel the pleasant atmosphere of the restaurant ”Iris” and enjoy the tasty international dishes or try the Macedonian meals and wines at the national restaurant ”Ogniste”. The Aperitif Bar is ideal meeting place offering a variety of domestic and international beverages, coffees and snacks. After a long business day, you can relax at the Hotel sauna or gym.Or you can try your luck in the magic world of “Le Grand” Casino. Hotel Mramor was built in 1995 in Skopje, the capital of Republic of Macedonia, and deserved its name after the marble that, with its shiny whiteness and perfect cleanness, is the main feature of the whole building and a reason more for a high level of hygiene to be maintained. Located in the municipality Vlae, at the foot of the mountain Vodno, in the immediate vicinity of the River Vardar meaning that the guests have a wonderful scenic view of the slopes of the mountain Vodno, clean air and peaceful sleep far away from the city clamor. 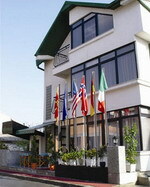 "Hotel Mramor" is only few minutes away from the city. 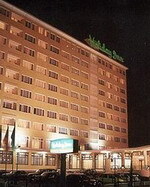 THE LOW RATES are a reason more to visit the hotel and to assure yourself of our quality.